A fan apologized for her insensitive comment towards Seungri. On April 18, Seungri went live on Instagram. The live broadcast took place at his restaurant and he ate a bowl of ramen while chatting with his fans. During the mukbang, Seungri saw a comment calling him a "fat panda". To this, Seungri said, "Don't call me fat panda. I'm not that fat." Later on, he added, "You guys call me fat panda, so I'm going to stop eating." 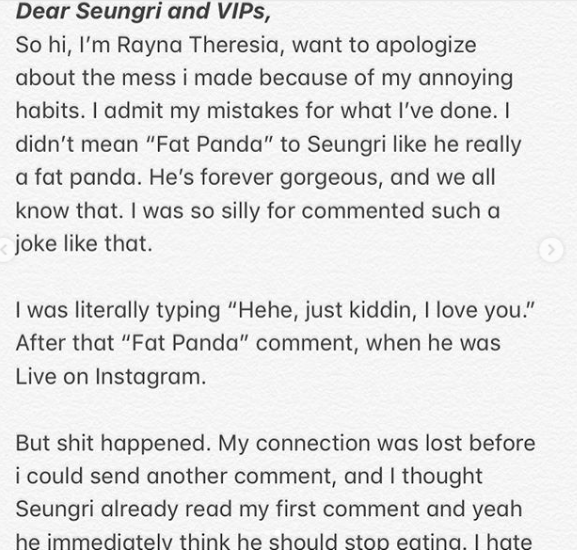 VIPs were angry and criticized the commenter who called Seungri a "fat panda". In response to the issue, the commenter apologized with a sincere post on Instagram. 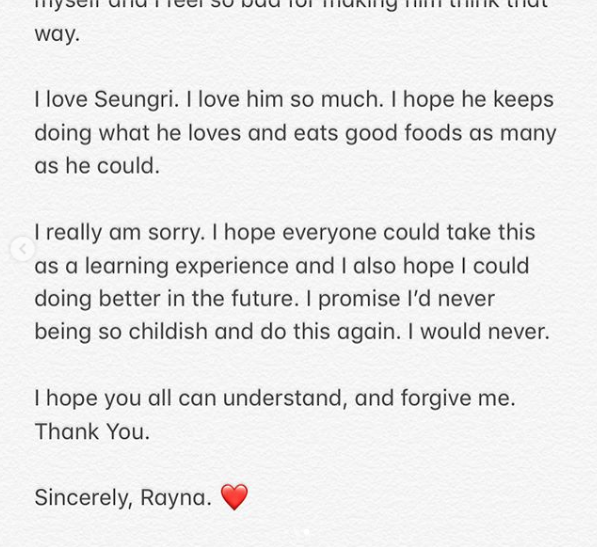 The commenter, who revealed herself to be Rayna, explained that she did not intend to call Seungri fat and that she's also a huge fan of the idol star. You can read her full apology below.